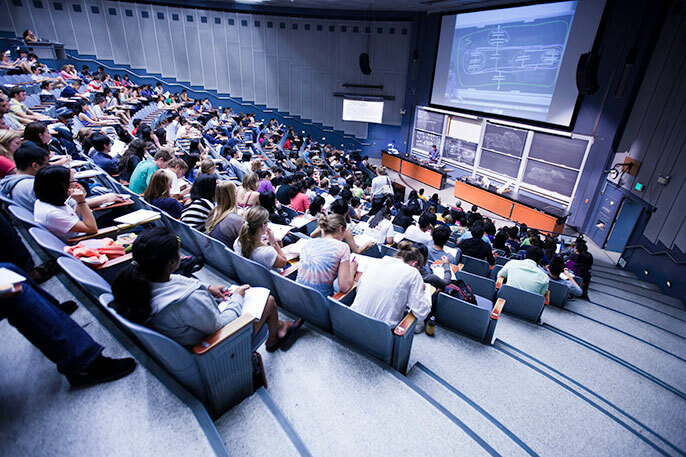 The University of California will significantly boost enrollment of California freshman and transfer students next year. The UC Board of Regents today (Nov. 19) approved a budget plan to enroll an additional 10,000 California undergraduates over the next three years, including 5,000 freshman and transfer students in 2016-17. Under the plan, all nine UC campuses that educate undergraduates will enroll more California students. “UC is committed to expanding the number of California undergraduates who attend the university, and to sustaining that expanded access,” UC President Janet Napolitano told the board before its vote in support of the university's 2016-17 operating budget, which includes funding for the enrollment plan. The increase in enrollment reflects an agreement made earlier this year with state lawmakers that provides UC with the fiscal stability it needs to expand access, and also to make needed investments in academic excellence, Napolitano said. As part of that financial plan, tuition will remain at current levels in the coming year. Napolitano and state lawmakers have both voiced concerns for more than a year about meeting the growing demand for a UC education. Under the approved budget plan, UC will match a $25 million allocation from the state to help cover costs related to the increased enrollment. The university is working to address the logistical hurdles inherent in such rapid growth, including ensuring that campuses have adequate faculty, staff, classroom space and housing, UC administrators said. That includes seeking an additional $6 million in state support to enroll 600 more graduate students in 2016-17, with proportionate increases of graduate students in the following two years, Napolitano said.